We are so excited to share this elegant and lovely party that is overflowing with beautiful girl baby shower ideas! 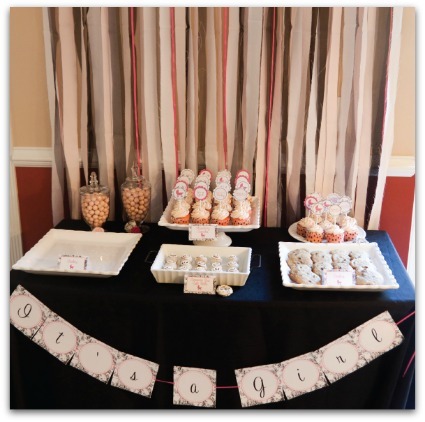 The talent behind this baby shower is Kathy from Tickled Peach Studio! 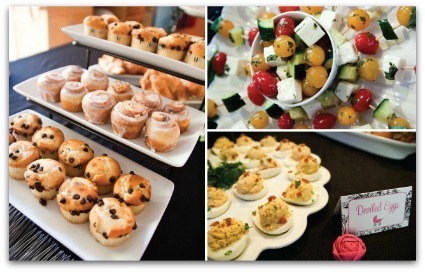 The food looks delicious, the baby shower decor is classic and timeless and the sign-in table is such a wonderful touch! Above is a snapshot of the baby shower dessert table. The fabric strip backdrop is amazing! So simple yet it makes such a wonderful presentation! I bet it was the topic of conversation! 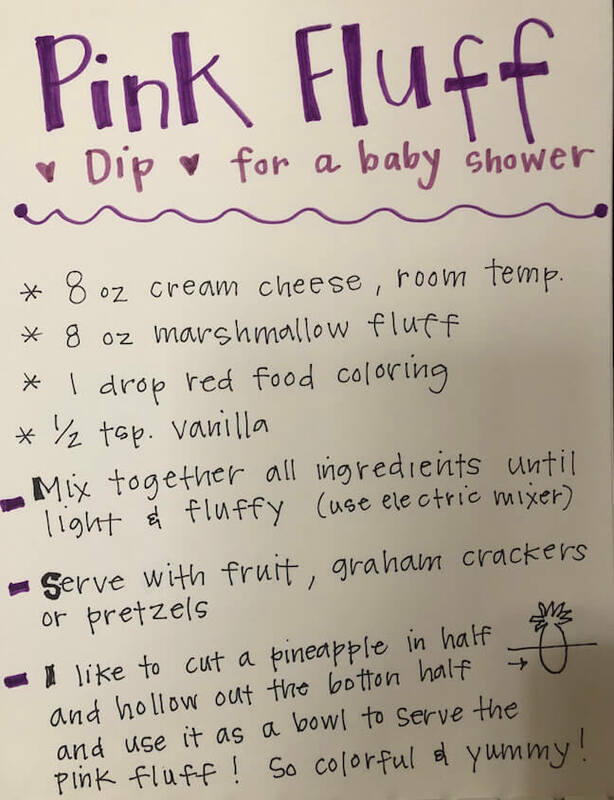 Anything on skewers is a hit at baby showers! Especially this scrumptious looking combination of tomatoes, cucumbers, cheese and herbs! These are so easy to make! Simply marinate in Italian dressing and thread through a bamboo skewer. You can even add food such as salami, olives, artichoke hearts, etc. Take a look at these yummy, creamy cupcakes! Baby shower cupcakes have been taking a step up over cakes lately. They are small, portable and you don't have to worry about cutting them. 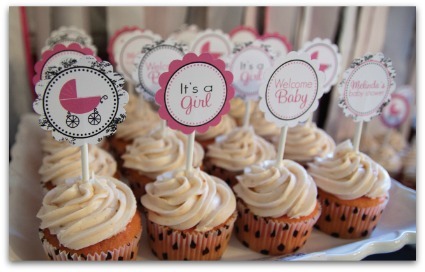 You can also add adorable cupcake toppers to them like the ones above. 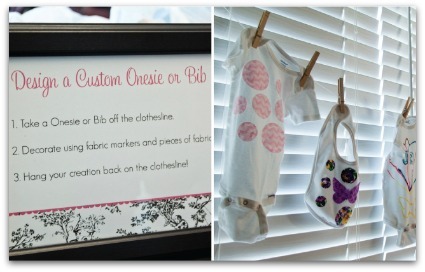 A clever activity that guests can do in lieu of (or in addition to) baby shower games is to design their own baby onesies and bibs! This is fun for everyone and gives the new baby a huge head start on their wardrobe collection! Another cute idea for a girl baby shower is to have a baby headband and barrette station set up. Craft stores carry adorable accessories such as flowers and appliques that you can have guests hot glue onto the items. It is a great idea to set up a guest sign in table. 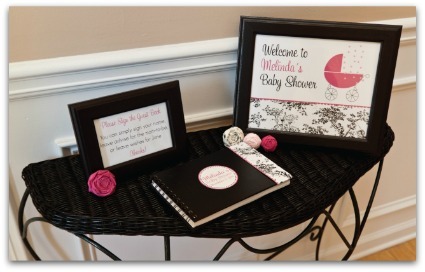 This way the mother-to-be will have lasting memories of her baby shower. You can even have guests jot down their sweet words of advice. Again, a big thank you to Kathy from Tickled Peach Studio! Thank you for sharing your talent and inspiring us all to host the cutest baby shower ever! 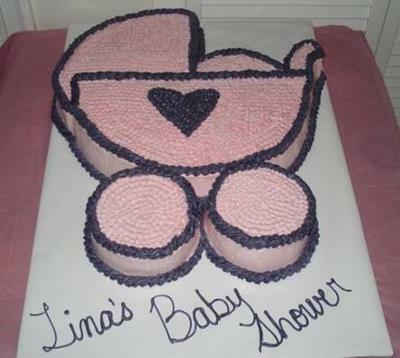 This cute pink girl baby shower theme idea was sent in by one of our readers, Suzette! 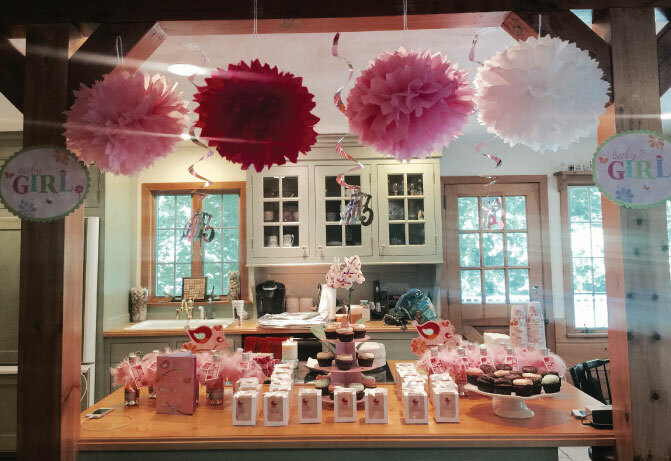 We loved her festive tissue paper pom poms and her cute favor ideas! 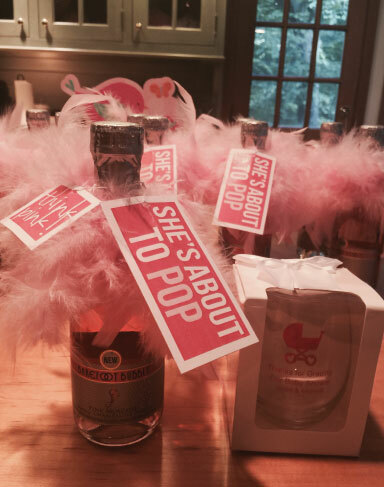 Suzette used our pink favor tags and added them to mini champagne bottles. She also gave her guests matching baby shower glasses to go with the champagne! So cute and clever! See our popular baby shower favor tags - including the "Think Pink" favor tags for a girl baby shower!